Working with US attorneys on personality rights and trade marks. Experience Hendrix LLC and Authentic Hendrix LLC are companies set up by the heirs of Jimi Hendrix to protect and exploit his intellectual property rights and his musical legacy. With our expertise in celebrity rights, Dolleymores is responsible for the protection and enforcement of trade mark and other IP rights throughout the EU. This includes not only the registration of trade marks, but also oppositions to the registration of HENDRIX marks by third parties (up to and including managing appeals to court). 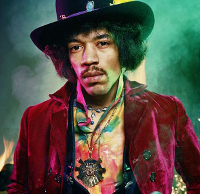 It also covers the removal of offers for sale of unauthorised products from websites such as Amazon and eBay, removal of abusive domain name registrations, putting Customs Notices in place to prevent the import of unauthorised or counterfeit products into the EU, and working with Trading Standards officers to provide statements and evidence to support criminal actions for counterfeiting of JIMI HENDRIX products.